Welcome home to Assembly Apartments at Clipper Mill! These Hampden apartments offer a location and setting like no other. Our community in historic Clipper Mill was once a bustling manufacturing center with charming brick buildings and cobblestone roads. Many of the original features from the historic mill have been retained and restored, creating a truly unique look and feel. 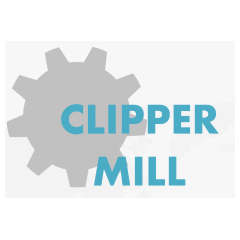 Clipper Mill is now a perfect combination of historic charm and modern convenience. Our apartment homes offer spacious 1 and 2 bedroom floor plans with lofts, towering arched windows, granite countertops, hardwood floors, and historic architectural features. In addition, our community features a world class swimming pool, a private residential courtyard, an outdoor fire pit and so much more! Located near Baltimore City’s eclectic Hampden neighborhood, residents of Assembly Apartments at Clipper Mill will be able to enjoy some of Baltimore’s best restaurants and local shopping including onsite attractions such as the highly acclaimed Woodberry Kitchen restaurant, Gutierrez Art Studios, the Corradetti Glass Studio, the Amaranthine Art Museum and more. Our community also provides easy access to I-83, making easy commutes and putting Baltimore’s top attractions, employers and universities within reach.